The DOP 4 Windows application is the latest version in the DOP series and can be installed on Windows XP, Windows Vista, Windows 7, Windows 8 and Windows 10. 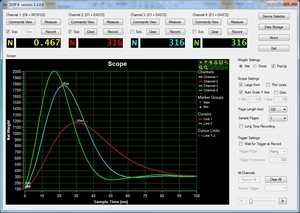 The DOP 4 application is a tool for calibration and tarring of the H&B load cell digital amplifier devices. 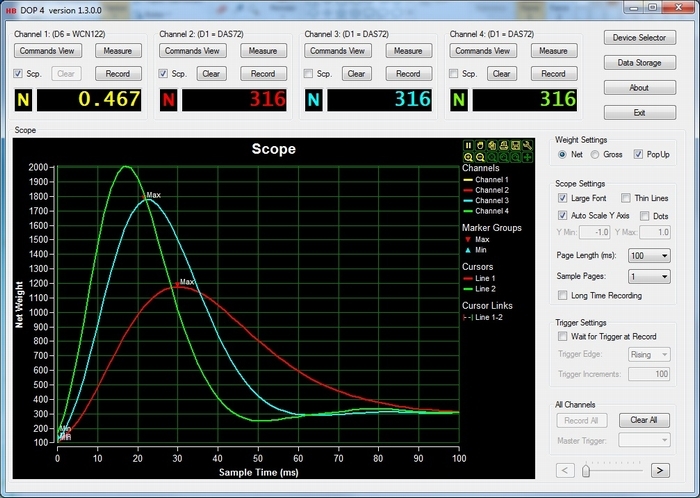 With the DOP 4 application, you can monitor weight values real time and do average measurements to a Scope picture, as well as sending raw command parameter values to a device from the built in Terminal. The DOP software is often updated, so please check the site frequently for new updates.